Turkey, like chicken, is an exceptional source of protein for kitties and dogs. However, make sure you use free-range organic turkey and not poultry from confined animal feeding operations (CAFOs). 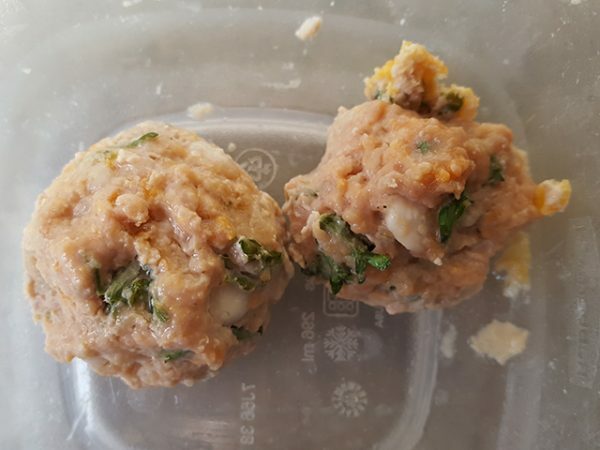 Mix all the ingredients together, and then roll into 1-inch balls. Place on a greased cookie sheet, and bake at 325F for 45 minutes. Let cool once done. 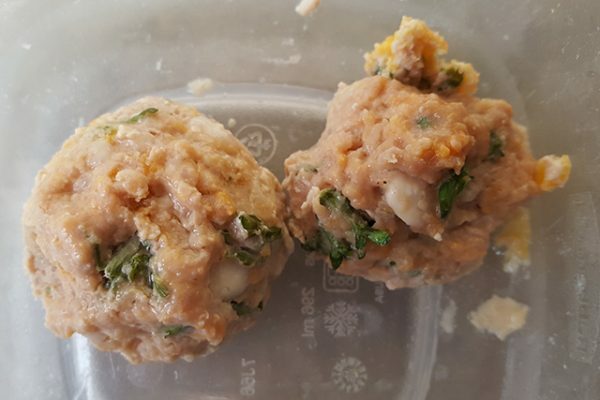 Store extra turkey balls in the freezer or refrigerator and consume within one week. If stored in the freezer, this treat can stay fresh for up to three months.